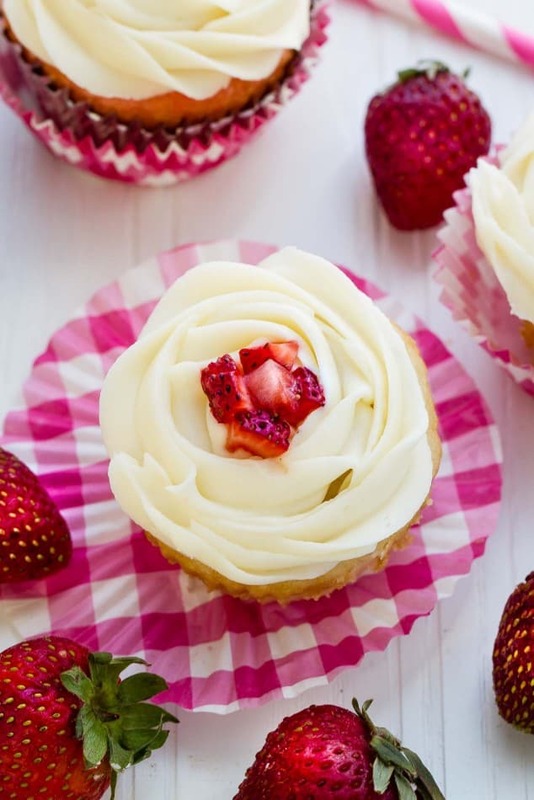 Light and fluffy strawberry filled vanilla cupcakes are topped with vanilla buttercream and fresh strawberries – they make the perfect celebratory treat! 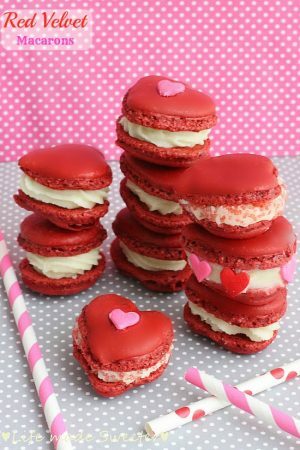 With Valentine’s Day just a few days away, I realized I still haven’t shared any red velvet, strawberry or heart-shaped desserts this year yet. I guess I got caught up in all the healthier January treats along with battling a very stubborn flu and the holiday just kinda snuck up on me. 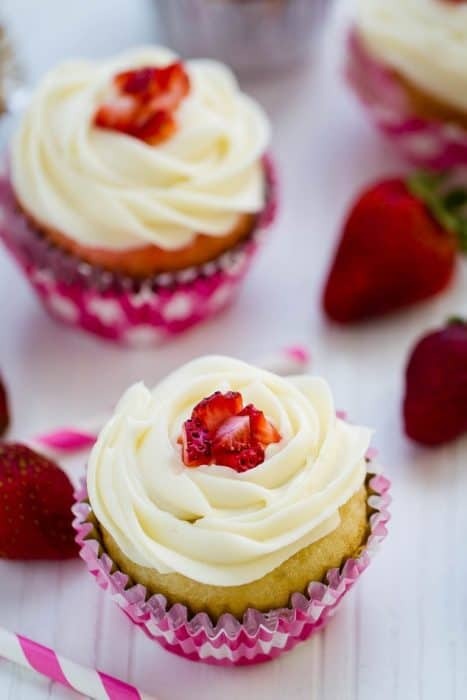 So I dug into my photo archives and found these Strawberry Filled Vanilla Cupcakes that I made last summer for my afternoon tea party bash and it seemed like the perfect time to place them in the spotlight. 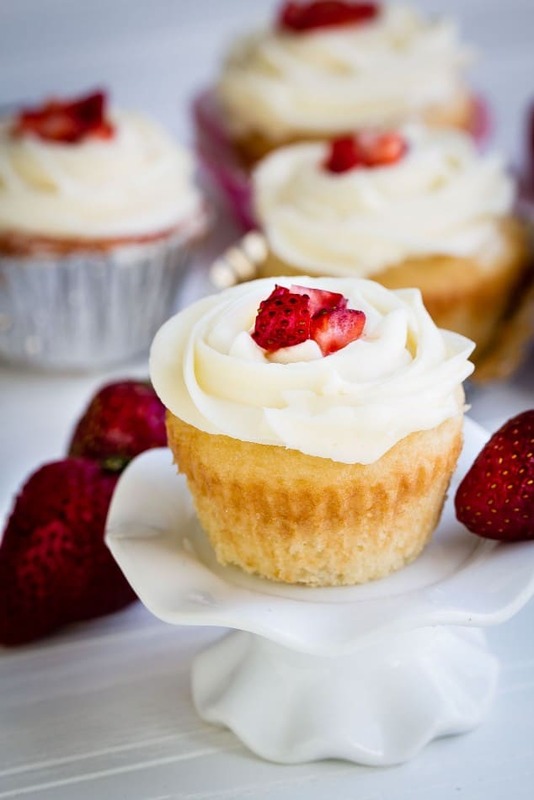 They start off with my favorite cupcake base infused with vanilla bean and vanilla exact. 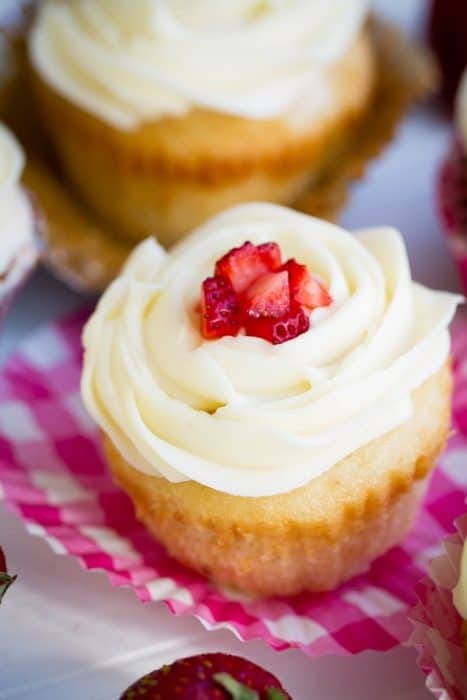 The cupcakes bake up light, fluffy and make the perfect foundation for your favorite frosting and fillings. I topped them with a creamy vanilla buttercream frosting along with some sweet fresh strawberries nestled in the center. 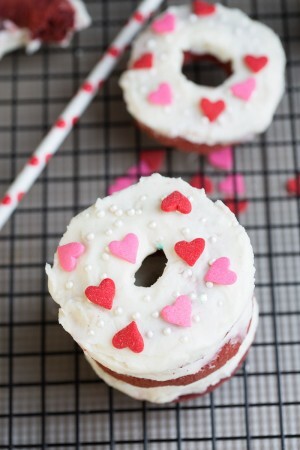 Make them for a special dessert for Valentine’s Day or share them with friends and family at those upcoming birthday parties, bridal showers, baby showers and more. 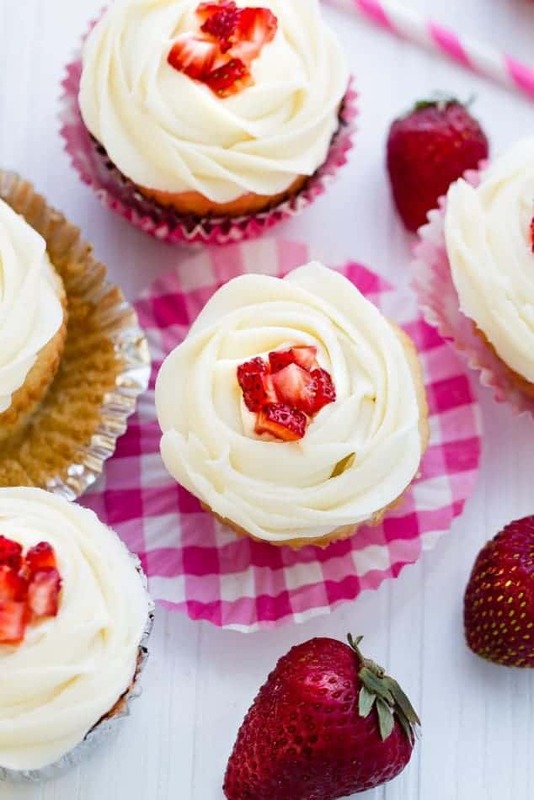 Light and fluffy strawberry filled vanilla cupcakes are topped with vanilla buttercream and fresh strawberries - they make the perfect celebratory treat! Using your electric stand mixer or a hand mixer, whip butter for 7 minutes on medium speed until pale and cream. Slowly add the powdered sugar and mix on low speed for 1 minute. Then add in scraped vanilla bean seeds, vanilla extract and 2 tablespoons of heavy cream and beat for an additional 2 minutes on medium speed. Add more heavy cream to reach desired consistency and continue beating for an additional 3 minutes until the icing is very light, creamy and fluffy. Fill pastry bag and use Wilton Tip 1M for rose swirls. Top center with fresh diced strawberries. Serve immediately.